Hello lovers and others (although we love all of you, so there aren’t any others here)! We have some big news, and we want you to sit down for it. Effie Box will be taking a break, for a bit. ☹ We’re still as much in love with the project and the idea as ever, but as we’ve both taken new commitments on this year, and as our lives have shifted in a slightly different direction, we don’t feel like we can give Effie and you guys the time and resources it deserves to flourish. Rather than push a half-baked idea with the potential for brilliance, we want to make sure we’re not underselling – unfortunately, this means we won’t be selling at all. On the technical side, all subscription profiles will (again) be suspended indefinitely, and any outstanding months from 3-month, 6-month or 12-month bundles will be refunded. On the personal side, it sounds soppy-and it is-but we want to thank every one of you for supporting us! Our hearts glow with pride when we see actual real life people paying us money month on month, and think we’re worth it. Thank you very much for believing in these 2 real life dreamers, you have our undying gratitude and love. Goooood morning, and happy October! We hope you've all loved your Effie Boxes this month...we love this project so much, and thought we'd try and share how easy and fun they are to make. You can buy the kits for £15 in high street shops...but why would you spend that much?! We hope you're all getting your craft heads on for Hallowe'en this year...let us know what you're going as! 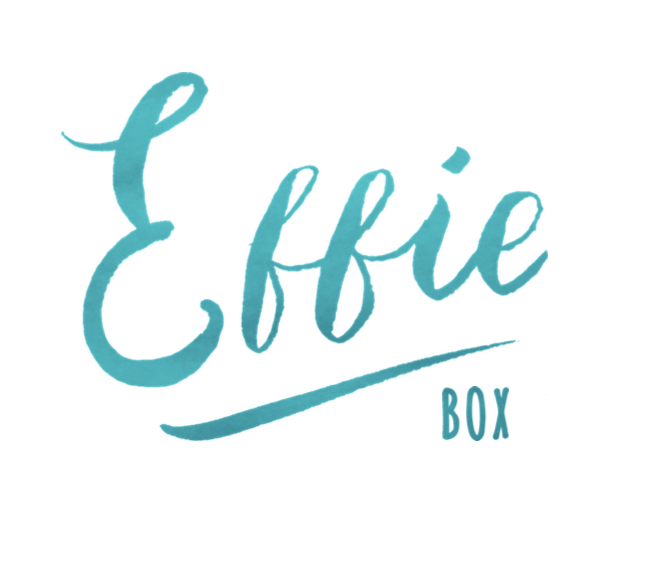 Continuing on from Ellie's post, yesterday, this is part two in the series where you get to meet the Effie Box girls - which means I (Fran) get to write about myself in an informative, but hopefully endearing, way...! Effie Box is the lovechild of Ellie & Francesca, and is a hassle-free, glitter-filled DIY subscription box service, which allows megababes (that's you!) to get crafty with monthly boxes in the post. All content is property of Ellie and Francesca. Powered by Blogger.